Looking for new marketing strategies for the New Year? Many savvy operators are taking a hard look at gift cards. Industry insiders list several reasons why gift cards should be considered as an important marketing tool—and revenue generator. 1) Industry research indicates that customers will often spend more on a gift card than they will on buying a gift. Why? It's human nature, the gift card itself in not a particularly exciting thing sitting in your hand. The only thing impressive is the amount on the gift card. People not wanting to seem cheap will often spend a bit more for the "make an impression" factor. 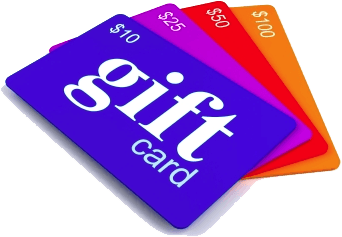 2) If is well known in the gift card industry that a surprising number of gift cards never get redeemed. Some researchers put this value at 16%. Imagine that, for every $1000 of gift cards sold, you make upwards of $160 for doing nothing. In an economy where margins are tighter than ever, these type of margins have to be attractive. 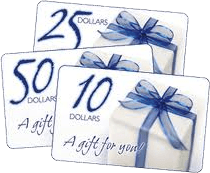 It doesn't matter if the gift card is used or not, you are getting paid in advance. In a world of tight margins that can't be bad. 3) A very high percentage of restaurant touch-screen POS systems are ready or can easily be upgraded to handle gift cards. This means that for many operations, the infrastructure to handle gift cards is already there waiting to be used. 4) Gift cards have a great appeal to youth. The more professional it looks, the more money will get spent. Gift cards are more modern than the older style paper gift certificates. Gift cards in most cases can be easily tracked through your POS software. 5) Studies show that when gift cards are using in a restaurant settings, most customers use the full value of the gift card and then some. Because it is a gift card, the users often eat more extravagantly, purchase additional food and beverages, treating themselves to a very special night out. They up-sell themselves resulting in extra revenue beyond the initial gift card sale. 6) Gift card sales are highest during the busiest times of the year but are redeemed through out the year. Gift cards purchased for the Holiday Season might not be redeemed until January or February, traditionally slower traffic months. 7) Gift cards have the possibility for bringing in new customers. They are purchased by patrons who know the value and satisfaction they receive at your restaurant but they may be given to others who have not yet tasted the charms of your establishment. 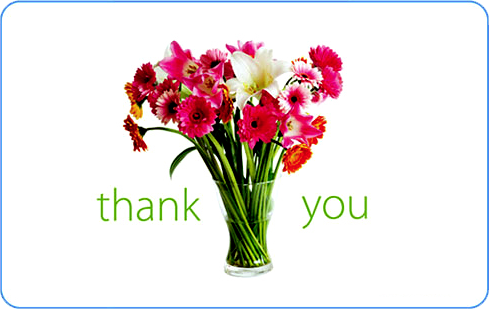 8) Gift cards make an excellent customer appreciation reward. They can also be used very effectively as donations and give-a-ways for promotions and charity donations, remember 16% are likely not to be redeemed. Gift cards are a win-win program. Consider adding them to your marketing arsenal. Whether you are a fine dining establishment or a coffee shop, gift cards can be a benefit to your operation!